Mantra restaurant and Bar held another of their highly popular Wine Experiences recently. Guests sampled five different wines with an extensive buffet that complimented the wines. 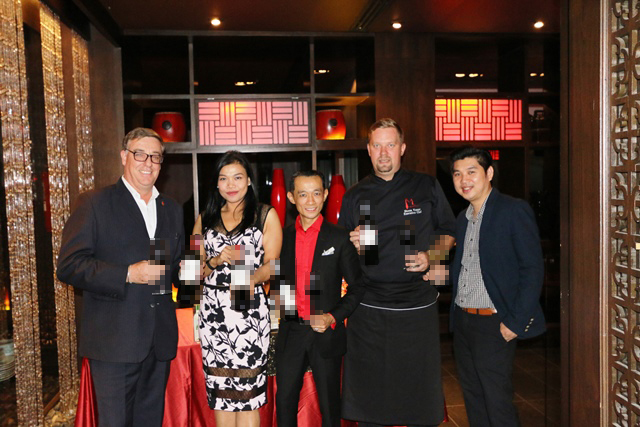 (l-r) Amari Resident Manager Richard Gamlin, Siam Winery’s Key Account Specialist Pattaya Jeab Intarasing, Amari F&B Manager Saneh Prakosub, Amari Executive Chef Shaun Vetner, and Siam Winery Wine & Beverage Training Manager Siwat Thitipornwattanakul.